Please email me with any questions or requests for additional pics or something specific at: tenishatggloss@f1fans.net . 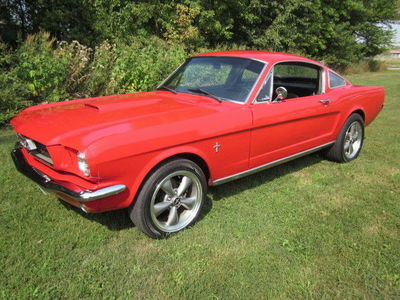 1965 Mustang Fastback Solid California Car. Factory 4-Speed. Factory 289 V-8 Car Upgraded With A 302. Factory Red Car. Factory Black Interior. Shelby Style Opera Windows. Total Professional Restoration. THIS CAR IS A HEAD TURNER !!!!! I will spare you the hype and BS. We all know what these cars are, how fun they are to drive, their Collectability and Investment value.